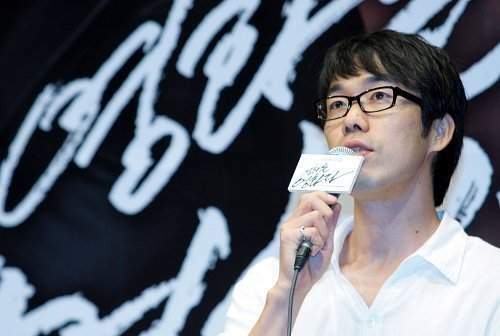 With three big films under his belt, Jang Hoon is now seen as one of Korea's top directing talents. His films have met with great success but they have also been critically acclaimed. His male-centric, dual protagonist narratives explore ambiguous but often familiar territory. They are films that have highlighted the paradoxical social ills of Korea but they are also engaging thrillers that have attracted droves of spectators to the theatres with their potent mix of wry humour and sharp plotting. Jang burst out on to the scene in 2008 with Rough Cut, penned and produced by his then mentor Kim Ki-duk, a blistering gangster film that cleverly confuses the lines between the gangster and filmmaking worlds. As well as being one of the most fascinating genre films to come out of South Korea in recent times, Rough Cut is also a supremely entertaining satire. His next film was the blockbuster Secret Reunion, starring Song Kang-ho and Kang Dong-won as a former South Korean agent and a North Korean spy who form an unlikely partnership. Humour plays a big part in Jang's sophomore feature despite its weighty subject matter. It went on to become the second-highest grossing film of 2010. Jang's latest is The Front Line, a Korean war film that chronicles the interminable final leg of the battle for Aerok hill as armistice talks dragged on for over a year in the waning days of the struggle. Shin Ha-kyun and Ko Soo headline a top cast and Jang's impressively made feature was last year's official Korean Oscar submission. 1. In terms of structure, The Front Line is quite different from other war films. How did you and writer Park Sang-yeon choose to approach this? I came onboard to this project after a draft of the script was completed by writer Park and the producer. Park and I shared lots of ideas while revising the script and during the pre-production, more plot details were ironed out. 2. Over the last decade a number of high profile Korean war films have been released. With The Front Line, what were you hoping to add to this impressive group of films? 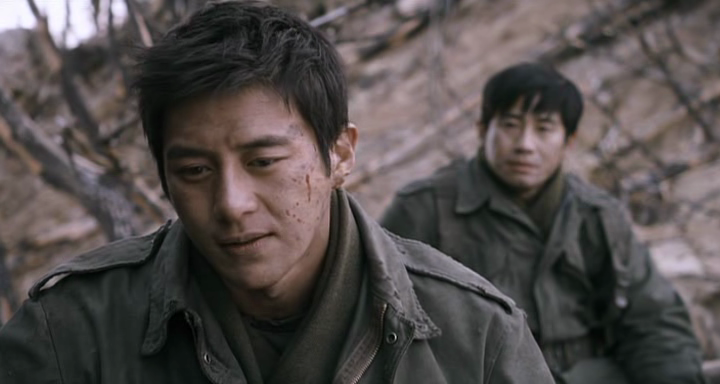 The film tells the story of how the war ended, whereas many other films start from its beginning. There is still a long road ahead before peace settles in this peninsula and I wanted to show this movie, especially to younger generations, to allow them to question the historic war and the current North-South relationship. 3. Your last two features have explicitly dealt with the rift on the Korean peninsula, do you find yourself particularly drawn to this subject? Living in the only divided country in the world, we (Koreans) all have some interest in the relationship between the North and the South. Being one of them and sharing this common interest, I started to develop this story with that in mind. 4. You have worked with different cinematographers (Kim Woo-hyung, Lee Mo-gae, and Kim Gi-tae) on each of your films, which as a result are quite distinct from one another. Is this a conscious decision to separate the style of each film and how would you describe your working relationship with your directors of photography? Due to the different circumstances of previous films, I have worked with three different cinematographers and thanks to their distinctive characteristics I was able to accumulate unique experiences and partnerships. We had many discussions concerning the most suitable cinematographic style for each film. 5. You made your debut as a director at a time when the future of Korean cinema seemed uncertain. How do you feel the industry has progressed since then and what do you think the future holds in store for Korean film? Korean audiences are very adept with the internet and social networks, which have become strong media for films. How they choose and judge a film has drastically changed. While many Korean films fared well last year, some blockbusters did not come close to reaching their expected outcomes. It shows that audiences are not drawn to typical dramas or expensive films anymore and in order to be more successful in this market, we have to keep developing new content and constantly evolve. 6. Would you be able to tell us a little about your future projects? I don’t have any particular project in mind, yet, but some potential projects are being considered. 7. Finally, could you tell us what your favorite Korean films are? Personally, I like the films of Lee Chang-dong. All his films are great and my favorites are Secret Sunshine (2007) and Poetry (2010). Many thanks to Louise Rivers at Cine-Asia for setting up the interview! 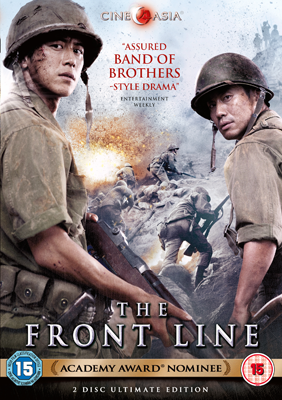 Modern Korean Cinema's review of The Front Line.